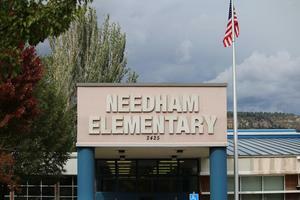 In cooperation with the Colorado Department of Public Safety and Durango School District 9-R, Needham Elementary School is working to communicate with parents about our standard response protocol (SRP) for student safety. There are five types of SRP actions that we will practice this school year: Lockout, Lockdown, Evacuation, Shelter, and Hold in Place. Next Tuesday, January 29th at 1:30 p.m., we will be holding our first of two Lockdown Drills for this school year. Lockdown is followed by the Directive “Locks, Lights, Out of Sight” and is the protocol used to secure individual rooms and keep students quiet and in place. Lockdown is a classroom-based protocol that requires locking the classroom door, turning off the lights and placing students out of sight of any corridor windows. Student action during Lockdown is to remain quiet. All Needham staff members have undergone training on the SRP, and will be prepared to lead the students through these drills in a calm and orderly manner. I Love U Guys Foundation at http://www.iloveyouguys.org.